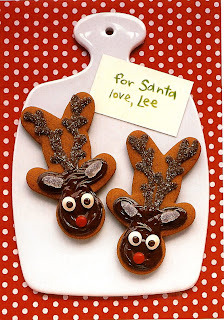 What kind of cookies are you leaving for Santa? I bet he'd really like these. Made out of gingerbread men turned upside down....so clever.